Be the first to share your favorite memory, photo or story of Edward "Sonny". This memorial page is dedicated for family, friends and future generations to celebrate the life of their loved one. 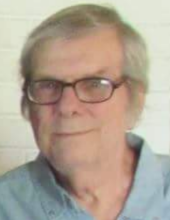 Edward “Sonny” Archie Smith, 71, of Topeka, IL passed away Tuesday, January 22, 2019 at his residence. He was born November 13, 1947 in Peoria, IL to Edward V. and Margaret Bohm Smith. He married Judy Terrell September 30, 1972 in Green Valley, IL; she survives. He is also survived by his children, Jason (Lori) Smith of Manito, IL, Terri (Sean) Delamore of Raleigh, NC; three grandsons; four granddaughters; nine great-grandkids; sisters, Margie Kelso of Pekin, IL, Louise Smith of Richland, WA, Loretta Dumont of Forest City, IL; mother-in-law, Delola Terrell of Topeka, IL; many nieces and nephews that he spoiled rotten and his beloved Chihuahuas. His parents; sister, Cheryl Jean Smith; three brothers-in-law and father-in-law, James Terrell preceded him in death. Sonny was an over the road truck driver; retiring January 22, 2010 after 34 years. He enjoyed arguing politics anytime and anywhere. Per his wishes cremation has been accorded and no services will be held. Memorials may be made to TAPS in his name. To send flowers or a remembrance gift to the family of Edward "Sonny" Smith, please visit our Tribute Store. "Email Address" would like to share the life celebration of Edward "Sonny" Smith. Click on the "link" to go to share a favorite memory or leave a condolence message for the family.